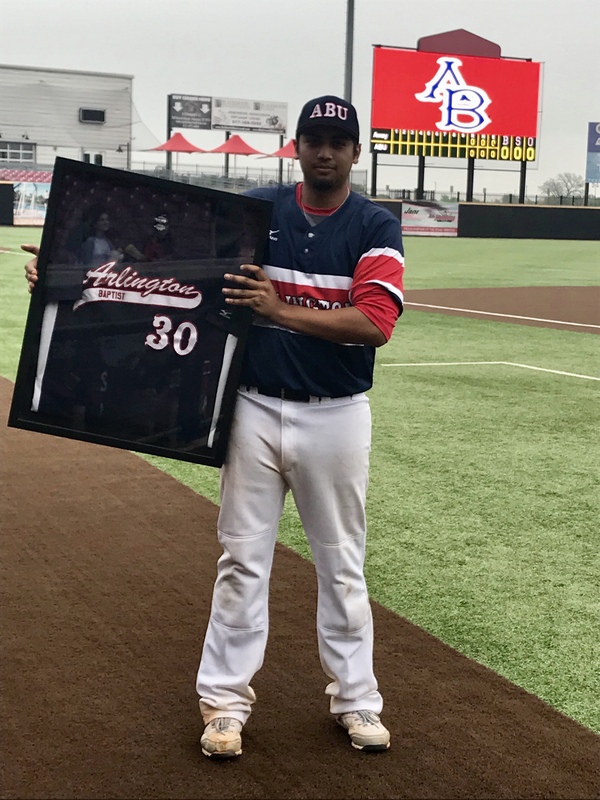 Arlington, TX- Ryan Rivera, # 30, has been with the Patriots his entire college career as a pitcher. Hailing from San Antonio, Texas, he had a 16-9 overall record. He has 115 strikeouts, and 8 saves with a 5.00 career ERA. Ryan has had an impressive career as one of our most reliable pitchers. #30 has provided great leadership over the years at Arlington Baptist. Rivera will graduate this coming May with his Bachelor’s degree in Education. Ryan, thank you for being a Patriot! May God bless you and guide you in your future endeavors.